With all the changes to travel and hospitality since the onset of smartphones, you’ve likely found yourself suffering from “digital fatigue” trying to keep abreast of all the trends and products offering to bring hotels into the social media age. To be frank, the rapid changes of guest-forward tech have left a lot of us scratching our heads, and that confusion doesn’t just affect the end-user. Many tech companies have responded to the wide-ranging changes instigated by constant connectivity by embracing new trends in open development models. In order to further their own brands by pairing well with others, Amazon, Google, and Facebook have all made steps towards adopting a public API model, helping make this a trend everyone should get behind. 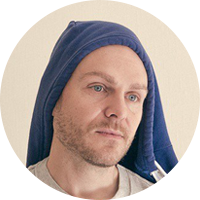 So what, exactly, is an API? An API (Application Program Interface) is a software-to-software interface that facilitates communication between two or more different and otherwise unconnected pieces of software. This communication is invisible to the user, happening in a layer below the UI. APIs handle sometimes-complex communications between Merchants and Consumers, transferring and verifying product information, banking and delivery data between several different websites. Historically APIs have been proprietary, limiting their use for cross-website or cross-platform functionality. But now, many software developers, big and small, have recognized the value of having a public API, offering free access to the code in order to increase co-operative development and innovation from third party developers. Given the relatively new ways in which smartphone apps, social media, and online shopping have all become integrated, public API models are a key driver of the seamless (and cross-platform) experience users want. And how does this affect the hotel industry? If, for example, you run an independent city hotel in Europe or North America, you probably already have several pieces of technology in place for day-to-day operations. Typically a Property Management System as the core service, possibly (but not necessarily) integrated with a Central Reservation System, and you probably also have some other technologies for in-room entertainment, housekeeping, accounting, etc. Because all of these systems are working independently, they can present some challenges, the biggest of which is ensuring all these systems are talking to one another. This is indispensable for sharing and synchronizing important information from room rates and bookings, to guest information, payment and access. Because these separate systems often come from different providers, there is no guarantee they will be able to interface with one another. This can mean many extra staff hours devoted to accessing and reconciling, cross-referencing, this information in order to keep track of the happenings on your property. Alternatively, the providers of these systems may have to alter their product in order to open it up to communicate with the other onsite products you have active, and while this may not seem like a problem with only a few basic technologies in play, it can become a huge expense if you decide to add or switch any technologies. This is where a public API can help. Earlier I mentioned proprietary APIs and alluded to some of the difficulties in using them to get separate-provider software packages to communicate. Well, online tools and smartphone ownership have been driving some important changes in the way web and app developers look at APIs. 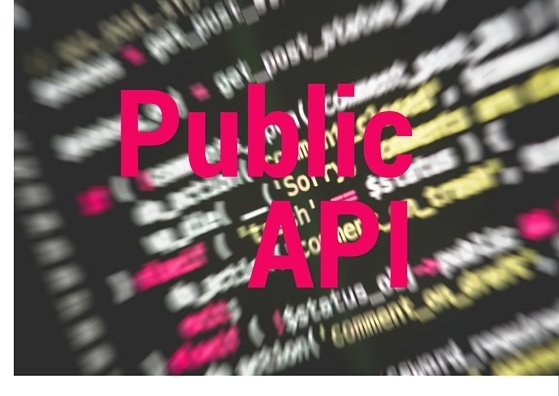 Public APIs conform to a standardized design, allowing the external facing aspect to be integrated with other programs, which facilitates seamless and clear communication. This saves untold development time and money, and allows hospitality providers to give the best possible experiences to their guests while freeing up staff from paperwork to provide great service. In addition, if you have chosen a well-designed API layer, your business can grow, change, and expand its technology offerings as needed without painful and costly trouble-shooting periods. For example, at hetras, we have developed our Hotel Management System with a public API, allowing for third party application plug and play functionality alongside our already robust Mobile Guest Journey and Smart Analytics. A well-designed and public API creates a strong backbone of integration and communication, opening up all the programs you’re using as well as facilitating future growth and streamlining of both technology and the data contained within. Hetras’ integrated hotel management system has embraced this trend with its mobile keyless entry and integration with ElasticSearch for data retrieval and analysis, just for starters. Head over to the hetras website for more information and demos, and embrace the advantages of public APIs in hotel tech development. then apply at hetras - we hire!